This very luxurious apartment is comfortable and very well organized. The furniture is cozy and chosen very carefully. The dining area features dining set for 8 people; kitchen cabinets are made of high-quality plywood, with all usual built-in appliances. There is a beige siting set in the living room, with club tables. Lighting completely follows form furniture. Walls are enriched with quality colors. There are three bedrooms: two with queen size beds and the master bedroom with a king size bed. Plenty of storage space. Three well-designed bathrooms (master with jacuzzi). There are two storage spaces, as well as three garage spot in the basement. The apartment is suitable for a large family that requires a high quality of living. 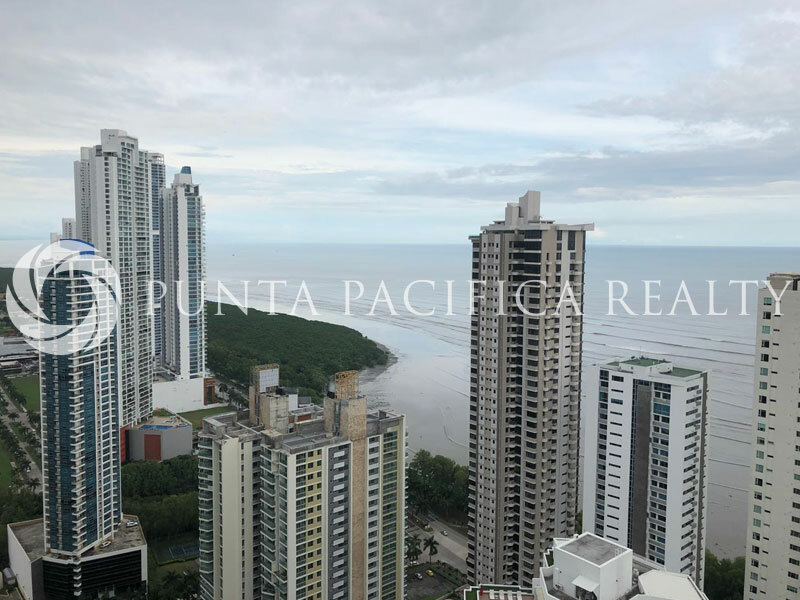 Parque del Mar is a stunning 2-tower complex, right on the main strip of Panama’s coveted Costa del Este. These buildings are conveniently close to several of Costa del Este’s main businesses, from the delicious Deli Gourmet bakery to the offices of Procter & Gamble. With beautiful options of sea and city view, this homey apartment complex could be the setting of many new memories!